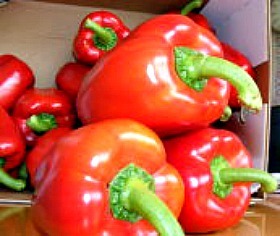 Welcome to Africanfoods.com: The Home of Authentic African Food Information And Recipes. African foods are as diverse as the continent itself. Ingredients and preparation methods vary due to climate differences and outside influences, but there are some distinct commonalities. Across the African continent, food is typically unrefined, natural, and grown at a subsistence level. Also, African recipes from North to South, East to West, include a variety of flavourful spices. Despite advances in communication, many still wonder and ask: What do Africans eat? So, let me tell you. From the estuaries of the Zambezi basin to the plains of Ashante, far afield to castles in Casablanca, Calabar, Lagos, and Lome to the legendary port of Alexandria, African cuisine is prepared from ingredients such as those that follow. 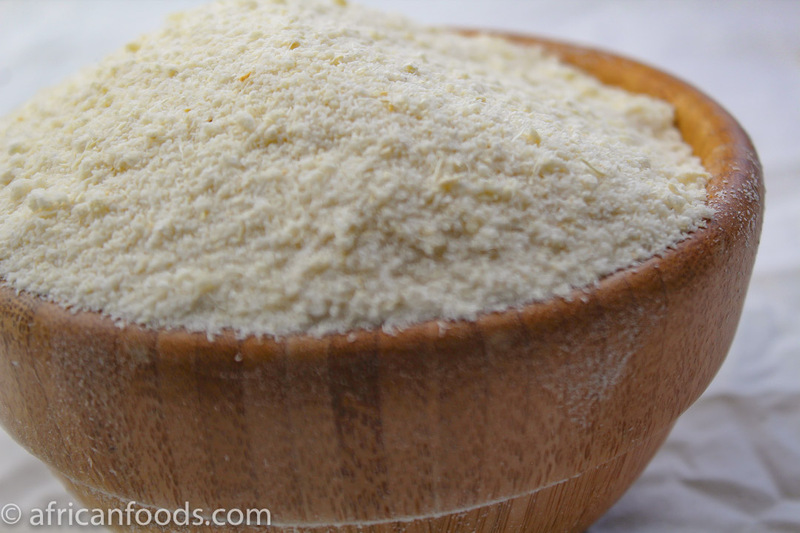 Authentic African dishes are rich in dietary fiber and low in refined sugars and additives. Also, they are mostly gluten free, and made with natural whole foods, including grains, legumes, roots and tubers, and a vast array of fruits, seeds, nuts and vegetables. When properly prepared, these dishes provide a balanced, highly nutritional diet. A host of "tropical fruits" (as they are known in the Western world) come from Africa and the Caribbean. Fruits like mangoes, bananas, oranges, pawpaw, pineapples, and coconuts can be found growing near most homes in African towns and cities. These fruits are the key ingredient(s) in many African desserts. 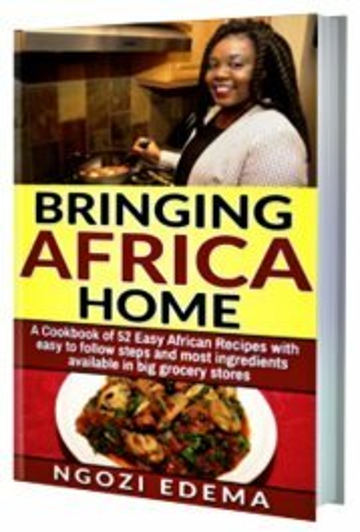 I invite you to stay a while and learn more about authentic African foods and cuisine. And, let me to introduce you to African cooking and all of the delicious, nutritious African recipes YOU can prepare in your own kitchen. Get Our Weekly Newsletter. Subscribe Today. It's FREE. Ready to Cook and Serve African Cuisine at Home? You'll find everything you need here! 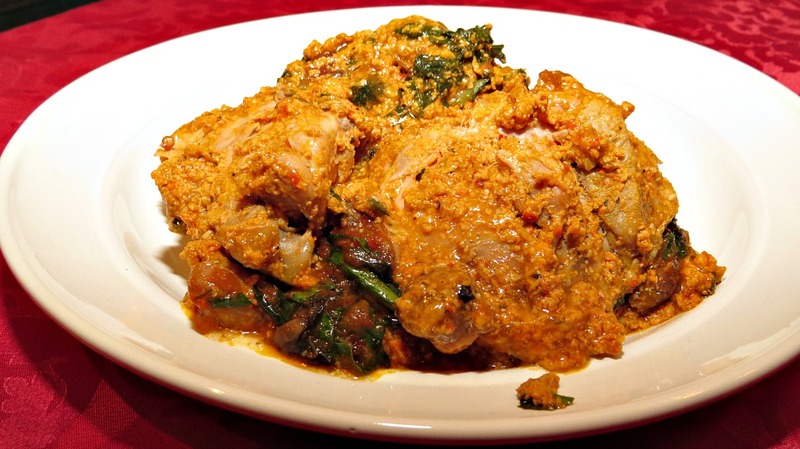 Delicious Egusi Soup: Usually Served With Pounded Yam. The opportunity to contribute your African stories here and get them published! If you have a favorite African dish you enjoy and can produce a short video on how to prepare it or a tutorial with photos, we encourage you to share it here. Please contact us now and let's create a page for your special recipe. Wherever you are, let's join hands and make African cuisine more accessible to all! There are about 54 different countries in Africa with over 1000 completely different tribes and cultures, each culture having different foods and staples. 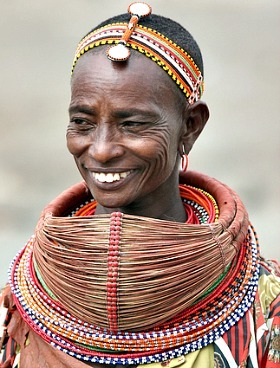 Most recipes from Africa are based on stews made from vegetable sauce with meat or fish. and served with fufu, mashed boiled tubes, or oven fried grains. Though often thought to be very expensive, you can get foods from the African continent in many shops around the world or have it delivered to your door with the click of your mouse. African foods are not as familiar in the Western world as are Asian foods such as Indian, Chinese and Thai, mainly due to individuals from that extraction not vigorously sharing their African dishes outside of the continent. In many parts of the Western world, Indian food and restaurants, Chinese food and restaurants and even Thai food and restaurants are so well known that they eclipse traditional Western cuisines in certain districts, but not African food. That is about to change. Meal times are sacrosanct. This is when ancestral stories are told. In some communities though, children are dissuaded from speaking during meal times to prevent choking. Morals are taught at such times too. Community and societal values are reinforced. It is that time of the day every member of the family looks forward to. Africans present their unique culture and values through their foods, adding exciting diversity and flavors to the dining experience. They invite all others to explore their cuisine and discover the exquisite delight in the taste of Africa. Africans take pride in cooking and eating carefully prepared meals, devoid of modern day refinements and contamination. They seek natural produce, fresh from the farms near their homes, prepare them in a variety of ways, and serve these to their family or household to enjoy around the table or by the fire side.